In 2009, Broadway Dance Center created a college scholarship fund. Each year one high school graduate from OBD is selected and receives a scholarship to be applied to his or her college education. We are proud to have awarded $17,000 in the scholarship's eight years. Alison is a Coal City High School graduate. She began dancing at the Broadway Dance Center in 2006. Alison began dancing pointe in 2011 and was a member of the On Broadway Dancers for 8 years. She will be attending Illinois State University in the fall to study middle school education. All three are Coal City High School graduates and will be attending college in the Fall. Natalie danced at the Broadway Dance Center for 11 years and was a member of the On Broadway Dancers for seven. She will attend the University of Tennessee at Chattanooga to study Nursing. Jacob will be attending Indiana University Purdue University Indianapolis (IUPUI) to study Mechanical Engineering. Jake danced with the On Broadway Dancers for six years, dancing at the Broadway Dance Center since birth, while taking classes for the last nine years. Macey began dancing at the Broadway Dance Center in 2006 and became a member of the On Broadway Dancers in 2009. She will attend the University of South Alabama and study Marketing in the Fall. Laura Gonski is a Braidwood High School graduate. She is currently attending college... more information to come. Amber Wilder is a Coal City High School graduate. She danced at Broadway Dance Center 12 years and became a member of the On Broadway Dancers in 2007. As a member of OBD for seven years she performed over 100 shows including the Chicago Bulls, college half-time shows as well as on tour in Europe in 2008. Amber will be attending the Columbia University this fall to study Dance. Emmi Krause is a Coal City High School graduate. She began at the Broadway Dance Center in 2006 and became a member of the On Broadway Dancers in 2008. As a member of OBD for 6yrs. she has performed nearly 100 shows including the Chicago Bulls, and on WGN television. Emmi will be attending the University of St. Francis this fall to become a nurse. She hopes to continue her studies with to receive for Masters in nursing to become a Nurse Practitioner. Jenna is a graduate of Reed-Custer High School and will be attending JJC. She is undecided about what career she wants to pursue. 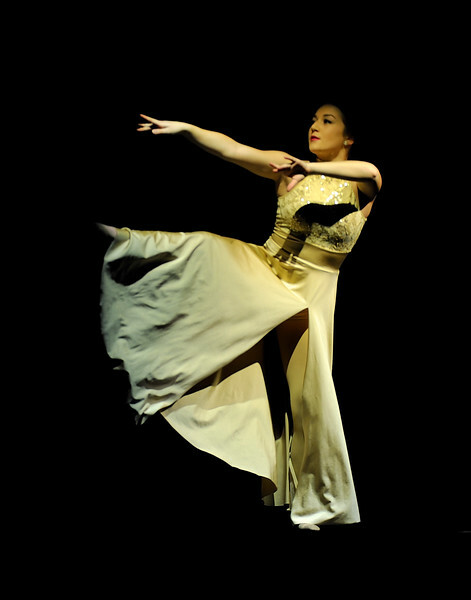 She has danced at BDC since 2000 and became a member of the On Broadway Dancers in 2006. Kristen is a graduate of Coal City High School. She began dance at Broadway Dance Center in 2000 and became a member of the On Broadway Dancers in 2005. Kristen is currently attending Lewis University where she will become an Air Traffic Controller. Abby is a graduate of Reed-Custer High School. She began dance with Broadway Dance Center at the age of four and became a member of the On Broadway Dancers in 2001 traveling to and perfoming in Europe twice, 2003 and 2008, with the dance company. Abby graduated from the University of Illinois (Urbana-Champaign) with a Bachelors of Fine and Applied Arts in Dance Degree and went on to earn her Masters Degree in Education from the University of the Cumberlands on Kentucky. She currently lives in Killeen, Texas and teaches at the Early Childhood grade level.